There’s a crispness to the air that signals Summer’s end. Days are getting shorter and the season of awareness is upon us. I’m tired of awareness. I mean great, we are aware. So what! I’ve learned that being aware of something doesn’t mean one will act. Now there’s where change happens whether it’s research, funding for research, support locally/provincially or federally for programs, better diagnostics, less invasive procedures, whatever, change takes action! I think it’s safe to say we are all aware cancer exists, and depending on what day or week or month it is which one or ones we are supposed to be aware of or we’d be living under a rock. But what of it? Are we actually doing something about it? Do we call a local cancer center to volunteer? Do we check on our neighbour who’s I’ll? Do we sacrifice our precious time for a cause that has touched us? Or are we simply aware that something exists?! Action doesn’t require a lot. We can do in small ways. After all, the only way to eat a cake (mmm cake) is one bite at a time. So why is it that acting is so hard? Often I think people shy away from action because they think it will take too much time. Or they thing that the problem is too big and that one small act of kindness won’t really make a difference. They are wrong. How long does it take to say hello? How long does it take cook a meal? How long does it take to check in on a friend? Oh look you have acted. Change happens with small acts. Before you know it drops in a bucket turn into floods of action. 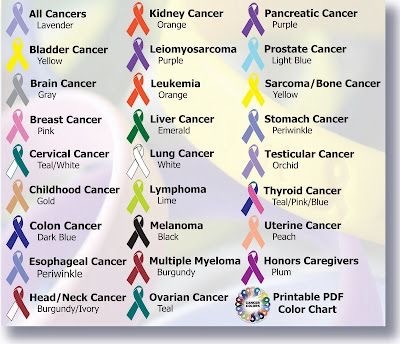 *These don’t have to be cancer related either. So in this season of awareness, act! If you really can’t act and want to use your wallet (also good) try to support causes/organizations who use a majority of their funds to actually do what they say. So many big organizations (I won’t mention names) have a great warm and fuzzy cause and are very visible but use a lot of their funds to cover their over head costs which means those they are there to serve don’t see a lot of those donations. Sometimes small causes/organizations can and will do more. Sure you have to look for them but if you really want to make a change sometimes small and grassroots is where to go. You can if you are savvy see where the money goes.